We are in Chithirapuram, its almost 9km from Munnar. tea plantations are starting from this area. normally very good climate here. lot of trees in our property. small spice garden also,you can see cardamom, pepper, vanila, etc... als , jackfruit tree. 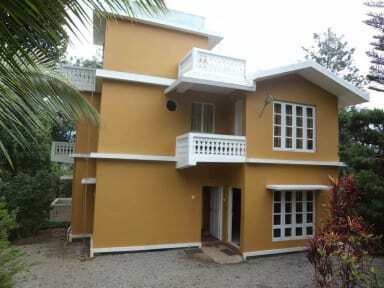 mango tree, pappaya etc... its a nature friendly homestay. Very friendly host who cooked us two nice vegetarian dinners. Breakfast is included and also a morning hike around the area. Would definitely recommend! Nice authentic breakfast. Good location. 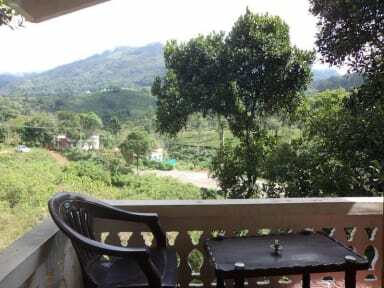 It's a nice place to stay if you don't want to be in busy Munnar city - however, you will need a car or take local busses to get around from the hostel. The host was very friendly and cooked great food, it was a bit difficult to communicate with him in English - but he made up for it with his friendliness. The place is simple but clean - being in the countryside you might find an insect or bug in your room though. I was satisfied with the place although I found the price a bit too high. There was no warm water for the shower, ants all over the walls, and felt unclean all around. Breakfast in the morning wasn't bad. Overall I felt that the property was overpriced.